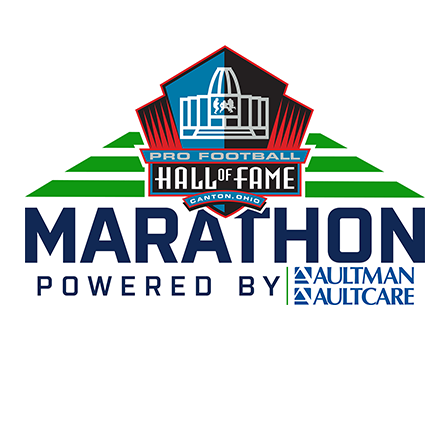 April 12, 2019- Coming to Canton for the Pro Football Hall of Fame Marathon? 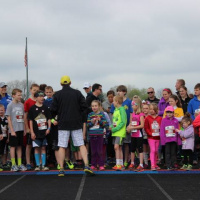 You have been training all year and now are ready to run and explore the community. 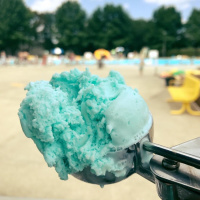 We have your inside scoop on where to visit and where to eat! You are running in the Pro Football Hall of Fame Marathon, aren’t you? The Pro Football Hall of Fame is a symbol of excellence everywhere and this is a MUST DO while you are here. Have history buff friends and family coming to cheer you on? The McKinley National Museum & Presidential Library, National First Ladies Library, and Canton Classic Car Museum—are all located in Downtown Canton and will entertain all ages. Are you an art lover? Make sure to explore the Canton Arts District. Pick up a pocket map at any of the Downtown Canton businesses and explore all of the public art, including the five completed pieces of The Eleven. Are you a golfer? Stark County is the home to over 20 public golf courses—so bring your clubs and enjoy a round before or after the race! Kids coming and looking for something fun to do to entertain them? Take them to SkyZone Trampoline Park to release their energy or head to Exploration Gateway for a beautiful outdoor adeventure! Love to shop? Belden Village Mall has all of your favorite stores in a one stop shop or if you want a unique shopping experience—head to Hartville and experience the Hartville MarketPlace & Flea Market, Hartville Hardware, and the Hartville Kitchen. Escape Room Downtown is the perfect team-building exercise before you run the Team Relay! Book your game today and be introduced to an escape room experience like no other. Wind down from an exciting weekend by visiting Gervasi Vineyard for wine, dinner, and to explore the beauty of the property. Check out the full list of events that are happening throughout the weekend! Baja West Coast Kitchen: Enjoy a rice bowl or tacos filled with fish, chicken, steak, and more! George’s Lounge: You wouldn’t believe a dive bar would be on the healthy eats list, but their burgers are made with all local grassfed beef and are cooked in healthier real fats! Delicious! SOL Pie Pizza: Have a craving for pizza? Enjoy this delicious pizza using sustainable, organic, and local ingredients. Earth Fare: Want to prepare your own food or looking for great snacks? Make sure to stop by the brand-new Earth Fare where they have a hot food bar, cold food bar, pizza, sandwich and deli stations. 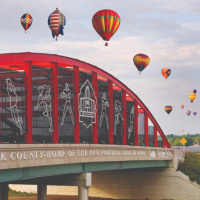 Make sure to check out the digital version of the 2019 Official Travel Guide or pick-up your own copy at the Health & Fitness Expo for more ideas of things to do and places to eat! Good luck!